Congratulations to Melania for acknowledging her new job. On Wednesday, the White House announced that the First Lady had realized there was no way for her to squint her way into invisibility and finally hired a social secretary. 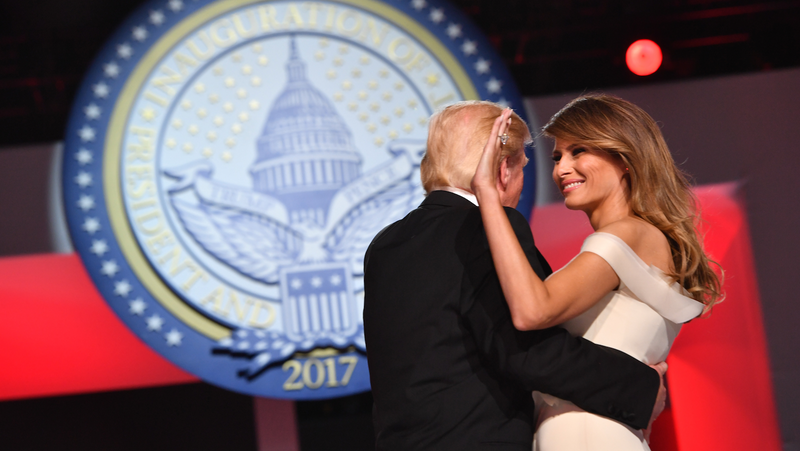 Her choice, Anna Cristina “Rickie” Niceta Lloyd, 46, is a veteran social planner in the Washington DC area, who has planned inauguration luncheons for the past several inaugurations on behalf of her company, Design Cuisine. Lloyd is married to Thomas Lloyd, grandson of Bunny Lambert Mellon, a socialite and philanthropist who became famous, according to the New York Times, for helping Jackie Kennedy redesign the White House Rose Garden. In other words, she is of very chichi DC stock. Niceta Lloyd, along with Melania, will be in charge of planning all the social events in the White House, including policy events, state dinners, and the Easter Egg Roll—though it’s safe to assume that Donald Trump, whose only interests seem to concern design or revenge, as opposed to world governance, will give his input. Last week, Melania hired Lindsay Reynolds, a veteran of the second Bush Administration with deep ties in the Republican Party, to be her chief-of-staff. Looks like this is all really happening for her.